So unless you have been living under a rock you will have heard that Evans has amazingly become the first ever plus-size brand to show at London Fashion Week. I am so immensely jealous of anyone that got to see the show in person but from all the images I've seen (and believe me, I have checked every single google result), it looks INCREDIBLE. “This is a big and important part of the market, and we need to be seen to embrace it. You cannot ignore the market place. And you can’t be defensive about it, or apologize about [plus-size fashion]. Why should the category be any different from petite?” Rock and roll Mr Green, I have to say I'm surprised to see the man behind Topshop coming out with something like this, but I applaud him for it. The statement above is literally pointing out something so obvious that it's crazy to think that there are brands out there that clearly can't accept this. I'm so pleased to see how Evans have been taking the lead in an ever changing plus size market and really contributing to actual change. The Cut for Evans collection they released was excellent and showcased 2 upcoming designers and there will be a second collection with another set of new designers this winter which I am literally dying to see. Don't forget they were also the sponsor of British Plus Size Fashion Weekend which was incredible and deservedly gained the press attention it deserved this year thus putting plus size fashion in the spotlight further. They are also the people behind the most spoken about celebrity collaboration, being the Beth Ditto collection, that to this day sells for an absolute killing on Ebay and has people going crazy over! It works so well because as a brand I feel Evans have a lot of trust from us as customers, we can justify a slightly higher price scale than for example George at Asda because you know the quality is there, the clothes are built to last and your favourite Evans coat will last you 5 years +, not until the end of the season. So when you put a reputable, trusted name, a great reputation with consumers and then mix it with complete innovation something amazing happens and that is what I see in this video. 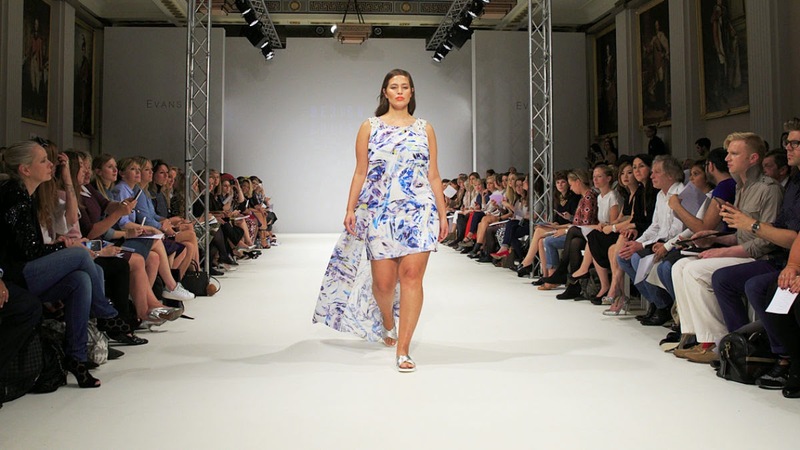 As a plus size woman this almost brings tears to my eyes to see such beautiful clothes suddenly accessible to me and on the catwalk for London Fashion Week showcased on plus size models. The designs are relevant and completely wearable and have been reworked specifically for plus size women from the main collections of Giles Deacon, Jamie Wei Huang, Vita Gottlieb and long standing Evans collaborator, Clements Ribeiro. I think the bar has officially been raised now for plus size "high fashion", so game set and match to Evans. How will other retailers follow suit and learn from the success of this campaign? We will have to wait and see. So I really want to hear what you guys think on this, leave me a comment below on what you think of the outfits/video and if you think this event could be a catalyst for further change in the industry. Don't forget to vote for me as "best new blogger" in the British Plus Size Awards, every vote counts and I would be eternally grateful for all of your support. Love this collection. I'm glad that plus size fashion is at last highly regarded. There should more collections for real women. It's about time! Lovely clothes especially that floor length gold number! 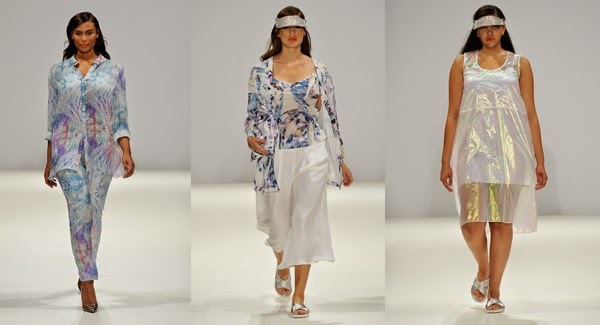 There is a few pieces on the catwalk that I am looking forward to treating myself to! Evans have some great styles! We have a huge Evans near where I live! Long gone are frumpy styles for plus size girls - Evan show that plus sized girls can look and feel just as great as any size 10!